Product Description316Ti Stainless Steel Round Bars(SS 316Ti Bars) are utilized as a part of a few enterprises, for example, Brewing, Chemical Industry, Dairy, Food handling, Marine hardware, Petrochemicals, Pharmaceuticals, and that's just the beginning. Our Stainless Steel 316Ti Rods (SS 316Ti Rods) are additionally utilized for a few applications, for example, in Condensers, Heat Exchangers, Filters, et cetera. As for national and universal nature of raw materials, we likewise offer these UNS S31635 Round Bars (otherwise called WNR 1.4571 Bars) in modified sizes and thicknesses according to particular requests by our regarded customers at showcase driving costs. Cromonimet's in-depth knowledge in this domain, we are engaged in offering our clients the finest quality SS Bright Round Bar. 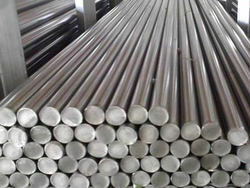 Cromonimet can offer 316L, AISI 316L, SAE 316L, Stainless Steel 316L Round Bar & Rods, 316L round bars, Stainless steel 316L rods, Stainless steel 316L Flat bar, 316Lstainless steel square bar, 316L rectangular bar, 316L rolled bar, 316L forged bar, 316L machined rod. Grade 316L represents the optimum in machinability among the austenitic stainless steels. It is primarily used when production involves extensive machining in automatic screw machines. Machinability Rating (compared to B1212) is approximately 78%. Nuts and Bolts, Bushings, Shafts, Aircraft Fittings, Electrical Switchgear Components, GearsFrom Cromonimet Steel Ltd, India, Maharashtra, Khopoli, Mumbai client can avail 316L, AISI 316L, SAE 316L, Stainless Steel 316L Round Bar & Rods, 316L round bars, Stainless steel 316L rods, Stainless steel 316L Flat bar, 316Lstainless steel square bar, 316L rectangular bar, 316L rolled bar, 316L forged bar, 316L machined rod. 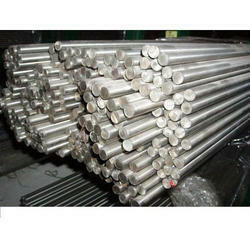 Client can procure smaller quantities of Stainless 316L steel Bar & Rod online ready stock from us at premium prices in any destination by just sending us an email. If any requirements for 316L, AISI 316L, SAE 316L, Stainless Steel 316L Round Bar & Rods, 316L round bars, Stainless steel 316L rods, Stainless steel 316L Flat bar, 316Lstainless steel square bar, 316L rectangular bar, 316L rolled bar, 316L forged bar, 316L machined rod kindly do contact us. Cromonimet can offer 303, AISI 303, SAE 303, Stainless Steel 303 Round Bar & Rods, 303 round bars, Stainless steel 303 rods, Stainless steel 303 Flat bar, 303 stainless steel square bar, 303 rectangular bar, 303 rolled bar, 303 forged bar, 303 machined rod. Nuts and Bolts, Bushings, Shafts, Aircraft Fittings, Electrical Switchgear Components, GearsFrom Cromonimet Ltd, India, Maharashtra, Mumbai client can avail 303, AISI 303, SAE 303, Stainless Steel 303 Round Bar & Rods, 303 round bars, Stainless steel 303 rods, Stainless steel 303 Flat bar, 303 stainless steel square bar, 303 rectangular bar, 303 rolled bar, 303 forged bar, 303 machined rod. Client can procure smaller quantities of Stainless 303 steel Bar & Rod online ready stock from us at premium prices in any destination by just sending us an email. We Cromonimet Steel Ltd is one of the leading manufacturers, suppliers and exporter of 316L Stainless Steel Hex bar.These are made up of premium evaluation basic stuff that is sourced from known and trusted vendor’s. 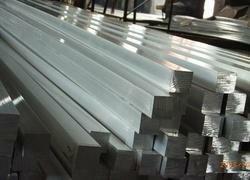 Our offered hex bars are resistance to corrosion, and has enduring solidness. These hex bars are accessible in diverse stipulations and might be tweaked according to the necessities. 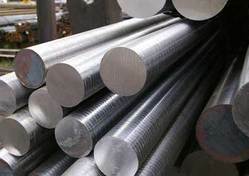 Leveraging on our vast industrial experience, we have emerged as one of the noteworthy traders and suppliers of Stainless Steel 202 Square Bar that is procured from reliable vendors. Cromonimet have ready stock of 200,300 & 400 SERIES is the standard "18/8" stainless; it is the most versatile and most widely used stainless steel, available in a wider range of products, forms and finishes than any other. It has excellent forming and welding characteristics. The balanced austenitic structure of Grade 304 enables it to be severely deep drawn without intermediate annealing, which has made this grade dominant in the manufacture of drawn stainless parts such as sinks, hollow-ware and saucepans. For these applications it is common to use special "304DDQ" (Deep Drawing Quality) variants. Grade 304 is readily brake or roll formed into a variety of components for applications in the industrial, architectural, and transportation fields. Grade 304 also has outstanding welding characteristics. Post-weld annealing is not required when welding thin sections. 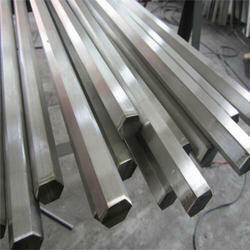 Cromonimet Steel Ltd, is involved in offering a vast array of, 430F Stainless Steel Round Bar. 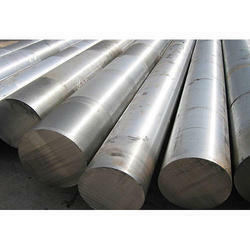 Cromonimet Steel Ltd is one of the leading manufacturers, suppliers and exporters of Stainless Steel Hexagon Bar. We at Cromonimet. 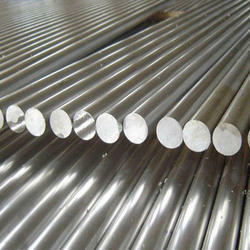 are eminent supplier, stockist, manufacturer of Duplex Steel 2205 Round Bars & Rods. We offer superior quality Duplex Steel 2205 Round Bars & Rods that have acquired applications in assortment of industries. It has been made using finest quality steel, the Duplex Steel 2205 Round Bars & Rods offered by us is known for its resistance to corrosion and high durability level. We further ensures that Duplex Steel 2205 Round Bars & Rods has gone through various phase of quality testing and has met client requirement in terms of quality and durability. Cromonimet Steel Ltd. provide their customer that particular product in various grades, dimension and sizes as per their requirement that too at market driven cost. Oil and gas exploration, Processing equipment, Transport, storage and chemical processing, High chloride and marine environments, Paper machines, liquor tanks, pulp and paper digesters. Cromonimet Steel Ltd. exports Duplex Steel 2205 Round Bars & Rods to countries like UAE, Bahrain, Italy, Indonesia, Malaysia, United States, Mexico, Chine, Brazil, Peru, Nigeria, Kuwait, Jordan, Dubai, Thailand (Bangkok), Venezuela, Iran, Germany, UK, Canada, Russia, Turkey, Australia, New Zealand, Sri Lanka, Vietnam, South Africa, Kazakhstan & Saudi Arabia. We at Cromonimet Steel Ltd have been into Imports and Supplies of Super Duplex Grade Round Bars in 2750 / f53 Grade in Various sizes and lengths. We provide materials along with MTC and other Test Reports conducted at our ends. Cromonimet Steel Ltd Manufacturer and Stockist of S.S 304 / 316 / 321 Square Wire & Rod. 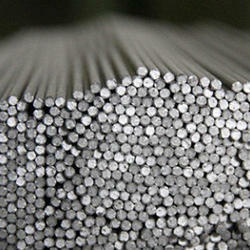 We are engaged in offering our clients a wide array of Stainless Steel Wire & Rods. These wire rod is used the construction of Trolleys, Centrifugal Baskets, etc. Our products are made available to our large clientele at very reasonable prices. 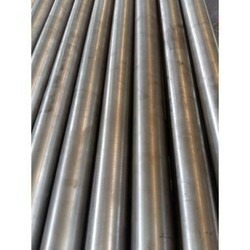 Looking for Stainless Steel 316Ti Round Bar ?